Jan de Bruijn, CEO Jan de Bruijn truly believes that a company’s corporate responsibility will provide a key opportunity to engage employees and further integrate the corporate values into the workplace culture, be it taking part in a meaningful event or volunteering an afternoon to help at a homeless shelter. This philosophy has helped him to strengthen the foundation of CSi, a provider of smart and customized solutions in palletizing. Indeed, the work culture at CSi is defined by a plethora of development opportunities for the employees, in addition to a serious commitment to community-focused causes and charitable activities. “I believe a group charity event can improve employee engagement by boosting teamwork and productivity. A secret that has helped us to transform from a small conveyor supplier in 1964 to a frontrunner in automation technology today, focused on palletizing systems at the end of production and packaging lines,” remarks Jan de Bruijn, CEO, CSi. Though the firm was initially focused on layer palletizing machines, they soon realized the evolving need for robot palletizing. “Once we understood the future scope of palletizing functions, we decided to work on innovate solutions using robotics,” states De Bruijn. As one of the first companies to leverage robotics for palletizing, CSi focuses on automating palletizing processes and eliminating the need for manual labor. “Today, CSi delivers the highest volume of palletizers in the global markets,” claims De Bruijn. Apart from customized systems, the company also offers a wide range of configured solutions with standard components to eliminate the need for additional engineering while minimizing associated costs and risks. With over 50 years of expertise, the company offers a wide range of palletizing technologies, from simple robot palletizing cells to fast multi-load palletizing machines. With an operator friendly Human Machine Interface (HMI), CSi’s solutions are laced with intuitive screens, onboard help functions and a visual interpretation of all relevant information. The automated palletizing systems plays a vital role in increasing a company’s Return on Investment (ROI). Keeping this in mind, CSi launched its i-Pal system in 2006 to provide a complete and compact palletizing unit that can be installed at the end of a production or packaging line with a pay-back of less than one year in many cases. Powered by a spherical robot mounted on a skid, together with pallet conveyors and a pick point, the i-Pal system offers flexibility to handle various products and applications. 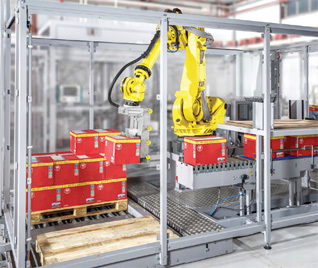 In addition, the palletizer can be integrated with three different brands of robots. “There are many companies that offer this sophisticated technology, but so far nobody has the same wide range of components and applications. And our lease-based contract model has proven to be a hit with customers. 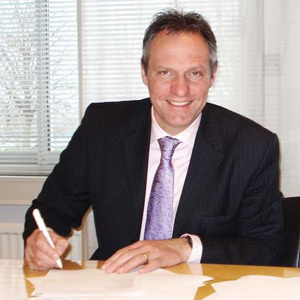 We offer flexible financing possibilities and easy installation,” states De Bruijn. CSi leases out the palletizing equipment for a minimum period of three months; they also offer an hourly rate for customers with variable factors in their production. “A customer thus replacing manual labor with an automated palletizer can be sure of reaping benefits in the form of lower monthly rates from day one, when compared to the costs expended on manual palletizing,” reveals De Bruijn. This is possible because of the high degree of standardization resulting in short installation and commissioning times. 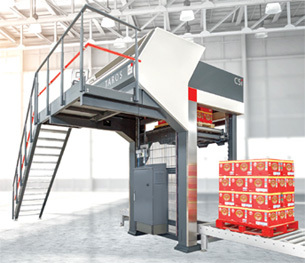 The availability of a diverse range of CSi grippers makes the firm’s robotic palletizers exceptionally flexible. It offers multiple options for de-stacking pallets and accurately palletizing products based on the correct configuration, thus making the manufacturing process labor-free and cost effective. “The palletizing system can instantly switch from one product on a pallet to another without human intervention,” he adds. "Our lease-based contract model has proven to be a hit with customers. As a result, we offer flexible financing possibilities and easy installation"
For manufacturers, a key concern would be the maintenance of the palletizing systems. CSi trounces the hurdle and stays ahead of its counterparts by offering an extensive line of training and support for its customers. The team provides traditional lifecycle services for maintenance, repair, and modifications on both national and international levels. “We empower our customers with the expertise and training to troubleshoot issues independently, but we also have specialists working in different locations,” says De Bruijn. The company has been an innovator right from its initial days and keeps on being a frontrunner. The team is also on verge of developing a new line of palletizers and is now in its patenting stage—De Bruijn is highly confident that these new series will revolutionize the palletizing space. CSi already has its Palletizing Application Centers in China, Mexico, and Romania; in the coming years, the company is aiming to expand its geographical footprints by adding six more centers in different parts of the globe. “We not only standardize our solutions but also the entire supply chain and the assembly process. In doing so, we create competitive local assembly units for global organizations. Thus eliminating exchange rate risks while reducing transport and import costs and duties,” asserts De Bruijn. On the technological front, the firm is focusing on partnering with production and packaging line integrators to offer its end-customers with holistic solutions with their palletizing solutions integrated into them. And of course, the company will continue its notion for group philanthropy that has become a crucial part of work culture—making it CSi's corporate Zeitgeist.